Snap-in Caps (or Cover) for aluminum extrusion profiles are widely used in office furniture, Partition wall, glass railings, glass display etc. The snap-in caps material can be Rubber, ABS plastic, Aluminum, Zinc (zamak). Rubber snap-in caps have the function of collision & slide-proof, ABS caps are widely used in office desk partition wall. 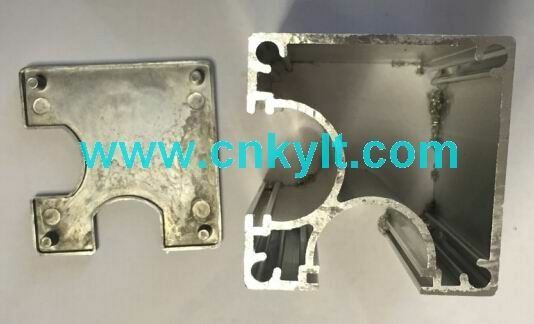 With the development of society and industry, aluminum and zinc alloy die casting snap-in caps are used in glass railings, advanced glass display and furniture or partition wall. The metal caps are more strong, long service life and easy for surface treatment. KYLT have good engineer to design the caps as per your demand and requirements. 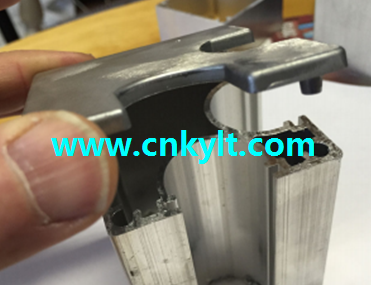 As “one-stop” service supplier, KYLT ‘s aluminum & zinc alloy snap-in caps surface treatment methods involve: normal/bright/mirror polishing, painting, powder coating, zinc plating(galvanization), chrome-plating, anodizing etc.